How was your summer? I enjoyed the "time off!" Now it's time to get back to work and catch up on those UFOs. Mary J has FOUR finishes to share this month! This is productivity! 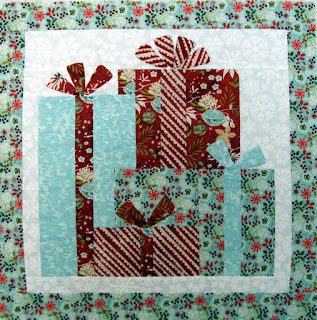 Her #7 (August) finish is a donation quilt. I love the super-sized leaf! 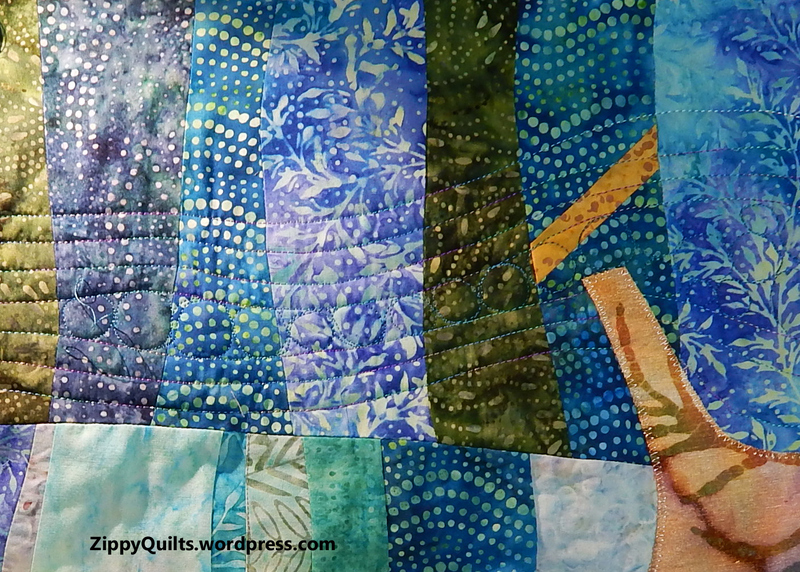 Since #7 was finished early, Mary spent August working on her "Swim" quilt. 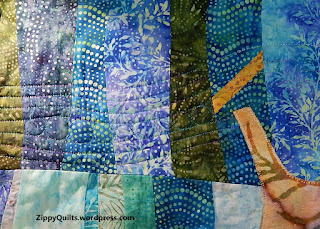 I love the wavy piecing, it looks as though the fish are swimming through seaweed. 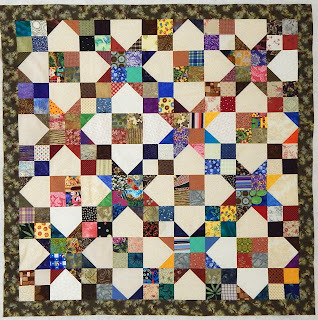 Mary has set herself a goal of one donation quilt per month, and she made three tops in August. Good on you, Mary! 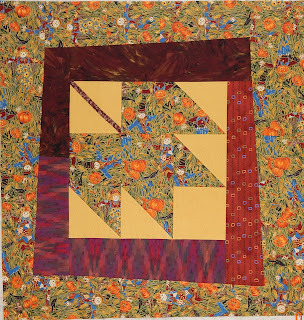 I think it's wonderful that you are sharing your quilts with others. Sandi is ahead of the game this month -- not only does she have only three more UFOs to finish, she has her Christmas wall hanging all ready to go! Love those colors, Sandi! This will be so cute for your holiday decorating. Gill had a wonderful summer holiday, and is ready to get back into the sewing mode. My summer sewing has involved my boys - they wanted to make wall hangings of the favorite characters from Studio Ghibli (a Japanese Anime maker). Jacob's (9 years) favourite character is "No Face" from Spirited Away - surrounded by "Soot Sprites". He chose the colours and the design concept and drew the templates and did some of the cutting and piecing. So fun that your boys are getting involved with sewing! 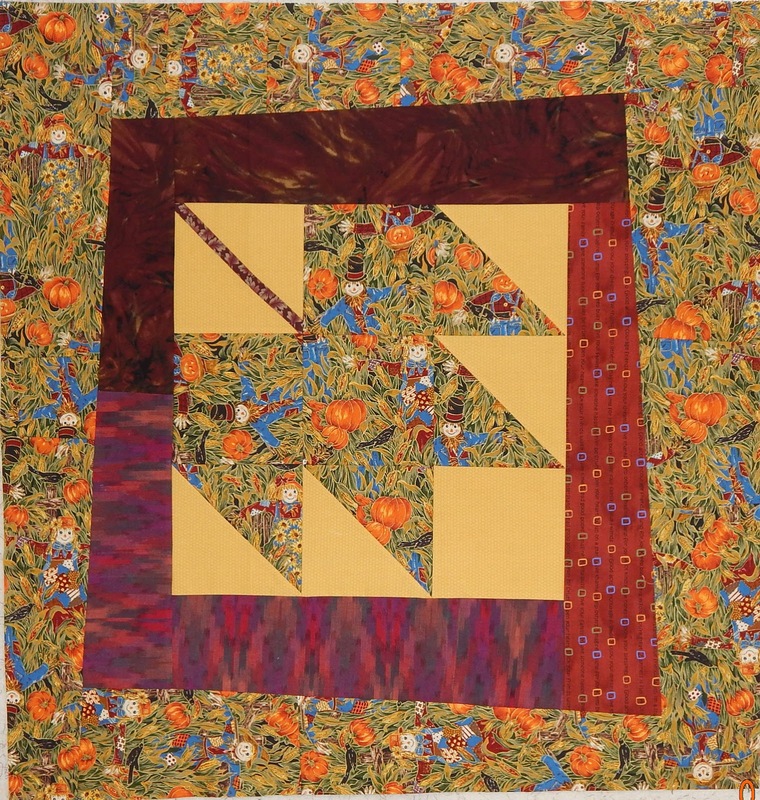 Both my boys made quilts for 4-H projects, and that skill has served them well. Sue is also getting back "into the swing of things." 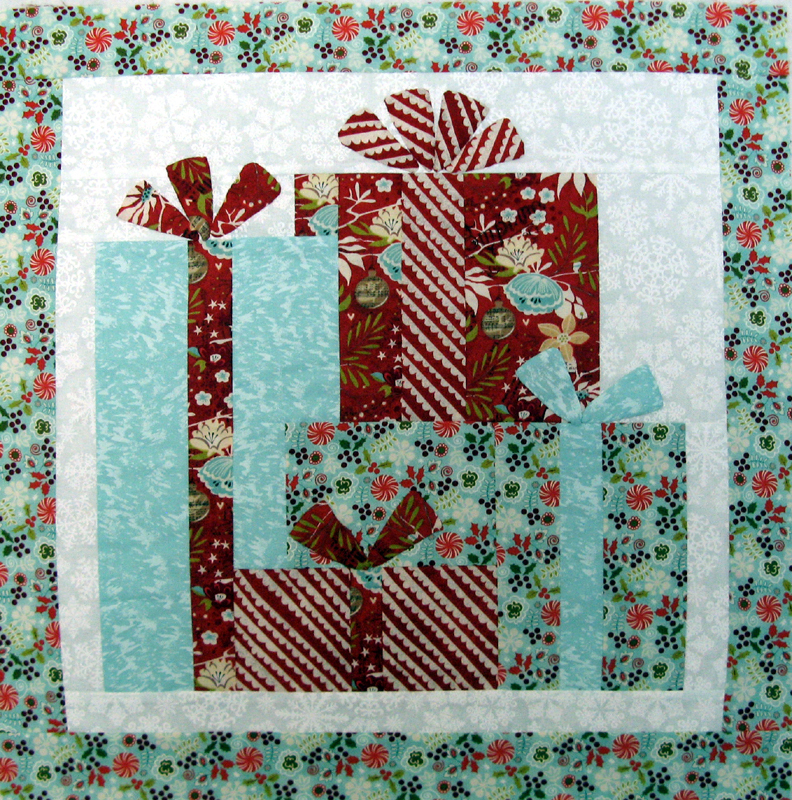 She enjoyed a weekend sewing retreat and look what she finished! I managed to get a UFO done finally! We're all moved in and mostly sorted out now. 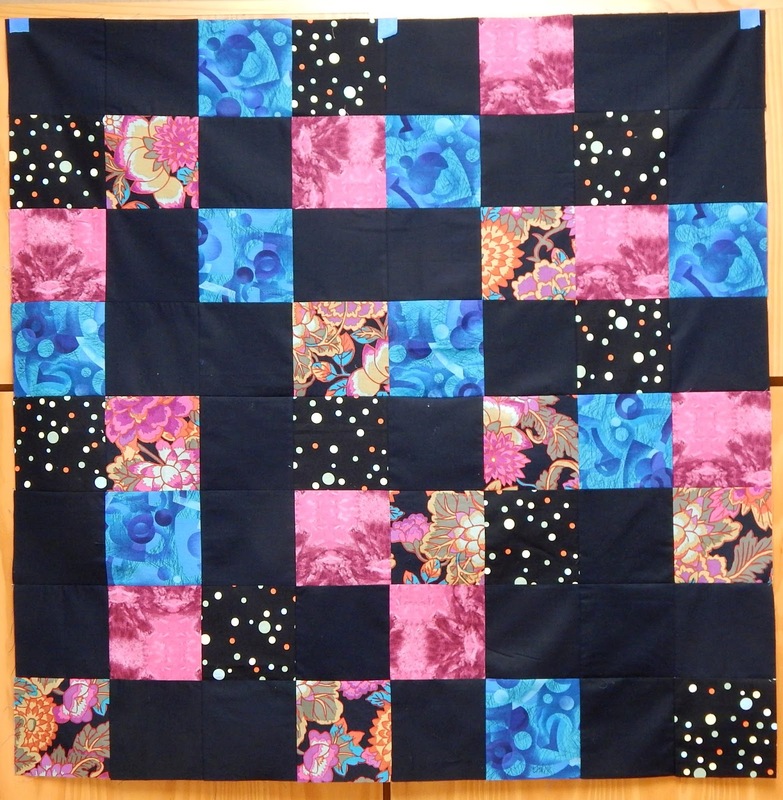 I also had a sewing weekend away last week and got my UFO No. 7 done. It was to make a donation quilt for a hospice and I've finished one and have quite a few blocks put together for a couple more so I'm calling that a finish! She also got addicted to the "Snapshot" blocks. I love this one! 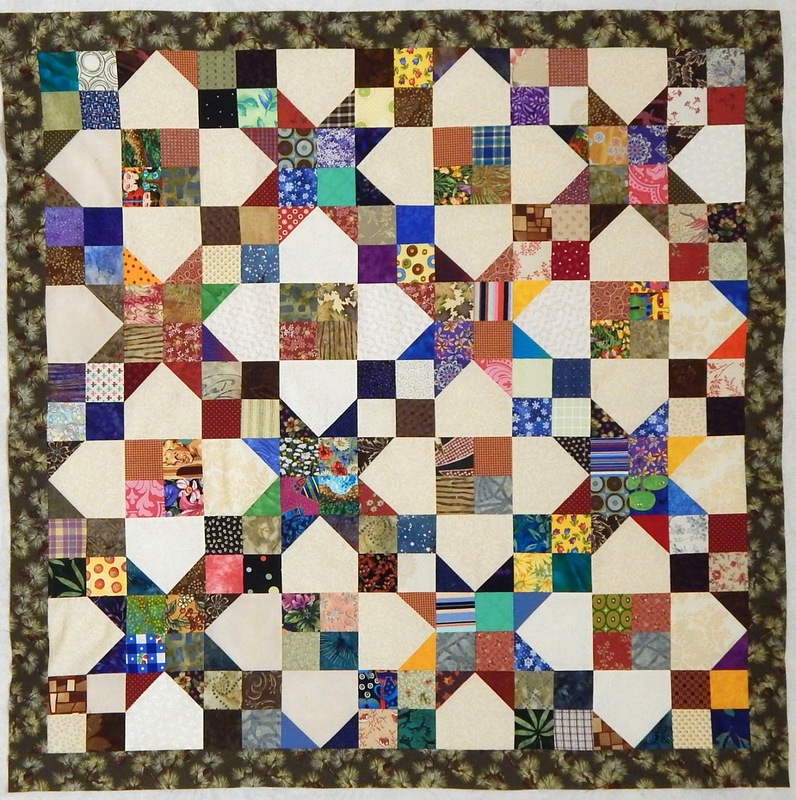 Mary J of Zippy Quilts is our UFO Parade winner this month. MJ, send me your postal address and I'll seen you some goodies! Just a note, it's OK to send the photos of your #6 finishes for September as soon as you have them. I'm writing the blog on a new computer and it takes me a long time to figure out how to add photos, so the more time I have to work on them, the better! It's been a busy summer. I'll be back to my normal blog publishing schedule this week -- I hope you all enjoy starting (and finishing!) your UFOs for September! It is great to see so many finishes this month. We spent August packing my daughter's things in Virginia, then driving to Florida and unpacking there! I never did see my sewing room with all that going on! Hopefully things will be smoother at home in September! another great roll up - love the "Presents" quilt. Is there a possibility Sandi would share the resource for the packages Christmas walk hanging? So very cute! Thanks! I love that all the finishes are so different!